Stylish, easy to drive and even somewhat of a bargain, the 2012 Audi R8 is an intriguing choice for an exotic sports car. 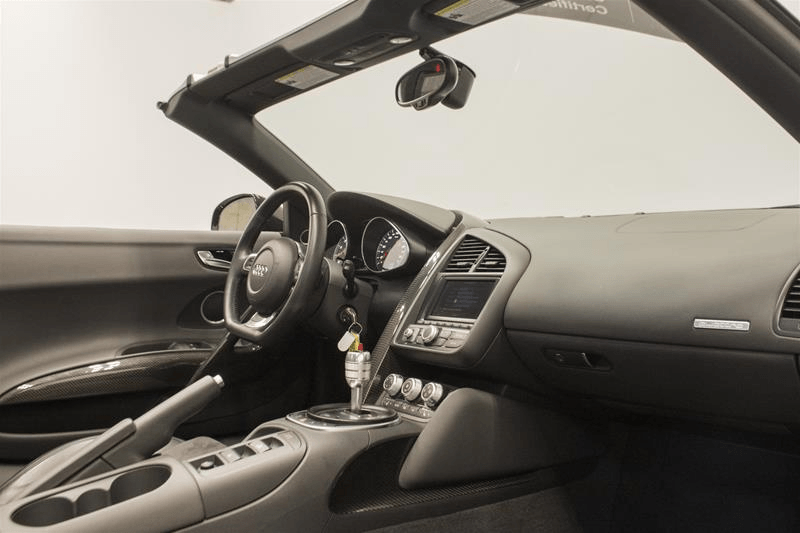 If you are looking for a pre-owned sports car that is sure to provide you with an exhilarating driving experience, then we encourage you to consider visiting our new pre-owned car facility at 115 Auto Park Circle in Woodbridge! Supercars are a rare breed. They have the ability to turn the heads of the most jaded of automotive enthusiasts and seemingly defy the laws of physics. The 2012 Audi R8 certainly accomplishes both, but it distinguishes itself from some past and present supercars by providing excellent performance without the sacrifices that other ultrahigh-performance cars require. Continue reading this article by Pfaff Audi Vaughan for more information. First and foremost, the R8 is pretty easy to drive. Aided by precise steering, an exceptional ride quality, good outward visibility and comfortable seats, the R8 is a supercar you could drive every day if you wanted. It also comes with all-wheel drive, giving it an advantage in terms of traction. While it’s effortless nature can make it seem a bit less involving than rear-wheel-drive competitors, there’s something to be said for the reassurance of having AWD when the roads are wet. The 2012 Audi R8 4.2 is powered by a 4.2-liter V8 mounted behind the passenger compartment that sends 430 horsepower and 317 pound-feet of torque through an all-wheel-drive system. A six-speed manual transmission with a gated metal shifter is standard, while a six-speed single-clutch automated manual known as R tronic is optional. Standard safety equipment includes antilock disc brakes, stability control, side airbags and knee airbags. Front and rear parking sensors and a rearview camera are available. During brake testing, multiple R8s have come to a stop from 60 kmh in a range between 104 and 108 feet, which is very good. The 2012 Audi R8 rides firmly despite its adaptive suspension, and road noise is pronounced relative to most other Audis. By exotic car standards, though, the R8 is remarkably comfortable as a daily driver, and visibility is surprisingly good in all directions. On twisting roads, the R8’s preposterous power, quick reflexes and heroic grip conspire to make this 3,600-pound supercar feel almost as nimble as a lightweight roadster. Speaking of power, the V10 adds an appreciable amount, as well as a uniquely racy soundtrack, but even the base V8 is one of the best-sounding and most tractable engines there is. 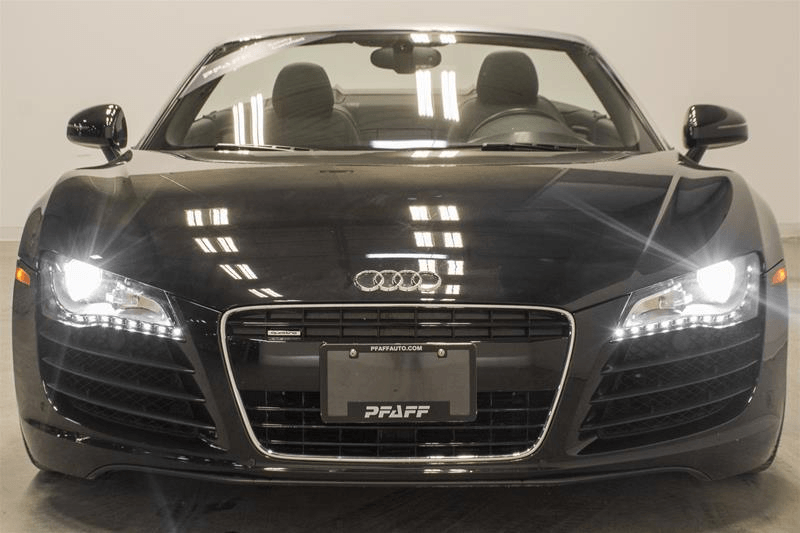 If you are looking for a high quality high performance pre-owned sports car, then the 2012 Audi R8 4.2 at Pfaff Audi Vaughan is the vehicle for you. Our pre-owned inventory does not last long, so we encourage you to schedule a test drive at your earliest convenience. Click here to find our contact information, schedule a test drive, or fill out our contact form.